Couriers of Taste, which wings the world’s artefacts, maps, prints and works of art to an 18th century period house in Bexley, will reward the curious. It's hosted at Danson House, a harmonious fit for this trade-inspired exhibition, the house itself erected with earnings of the 18th century sugar empire via its plantation-owning builder, Sir John Boyd. Each room in the House contains art reflecting a different culture or offering a window into the history of trade. 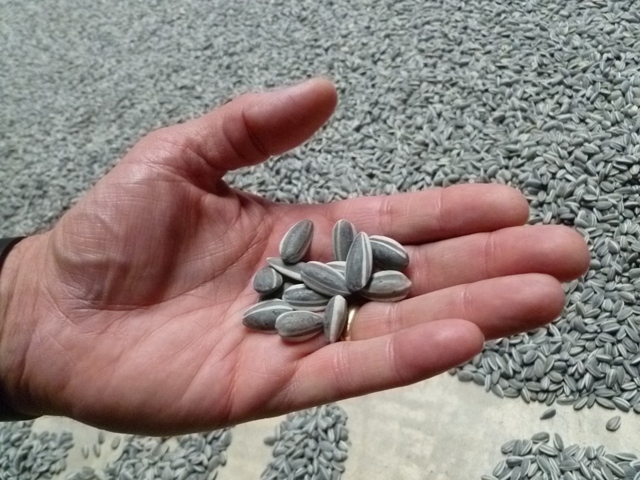 Stand out exhibits are Ai Weiwei’s collection of ceramic sunflower seeds, last seen at Tate Modern, and gathered from light-fingered folk around the globe. Other gems are the tripped out Opium den by Karen Tam and Laura White's Collection of bric-a-brac sculptures infused with pop culture and toy references from My Little Pony to Darth Vader. Meekyoung Shin's collection of replica vases sculpted in soap look like precious cargo just unveiled from their crates after a long voyage over the seas. Let your imagination interpret it as you will, when you have checked out Couriers of Taste there's also the chance to explore Danson House and its 100 acres of parkland. Or just collapse with a slice of something delicious and calorific in their tearooms.